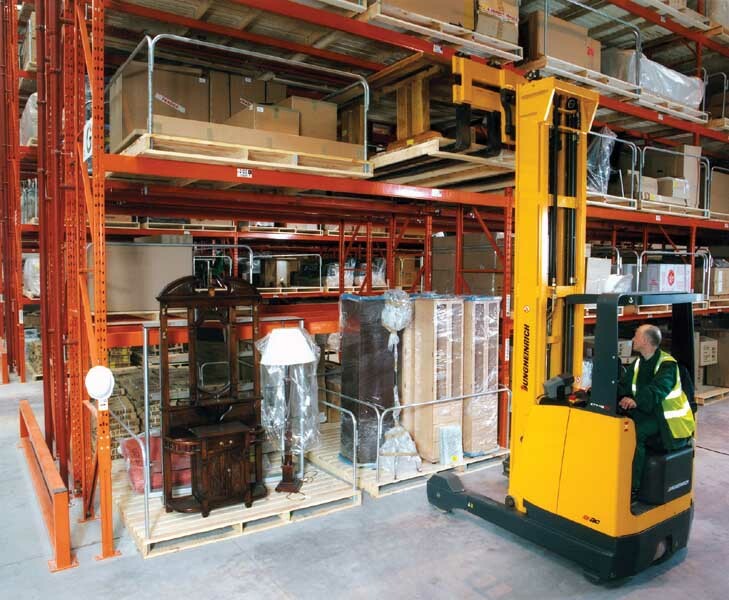 “We struck up a good relationship from day one and Redirack put our minds at rest throughout the whole process.” Stuart Fox, Operations Manager for Housing Units, identifies a crucial issue for their company when installing racking in their new £4m distribution and administration centre in Manchester. Faced with outdated and inadequate warehousing, furnishing retailer Housing Units decided that a new, purpose built 4,800sqm facility adjacent to the store on the their five acre site was the best solution. Still a family-run and privately owned business after almost 70 years of trading, Housing Units set about scouring the market for suitable suppliers they could trust. Redirack set about designing a unique solution to the new challenges facing Housing Units, and after about three months of planning, installed six double runs and one single run of racking. 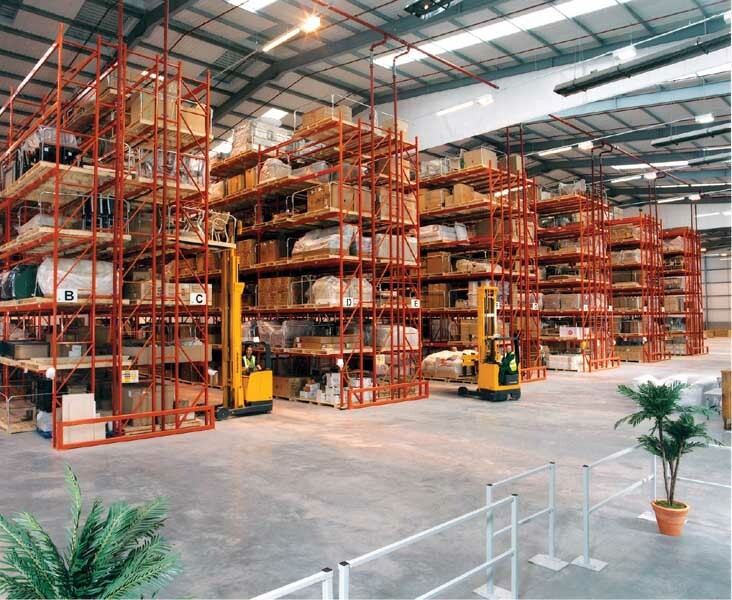 Nearly 30m long the racking system rises to a height of almost 10m. 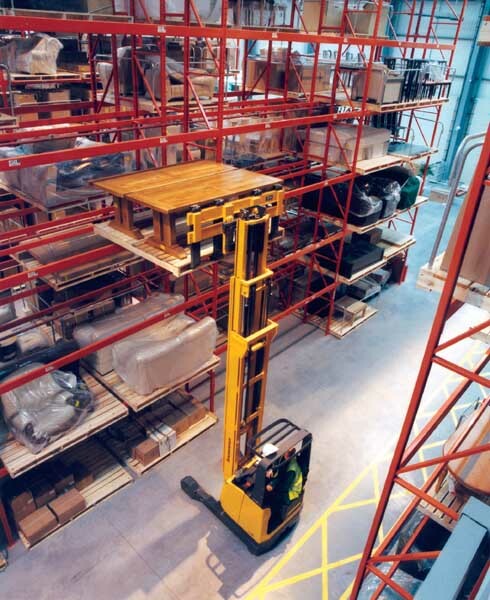 Wide aisles allow reach trucks easy accessibility to the large 2 metre wide, bespoke pallets used by Housing Units. These pallets enable bulky furniture, the company’s products, to be lifted on and off delivery vehicles and the storage system with ease. This is particularly important as Housing Units stock high quality furniture and any accidents could quickly prove expensive! Health and safety was also a big consideration so all frames were installed with Sacrificial legs. This unique Redirack feature enables the quick and easy rectifying of any damage to the lower front upright of all the frames. Special wheel stops were also installed to form a safety barrier to prevent trucks from advancing too far and damaging an office wall that is adjacent to the warehouse.